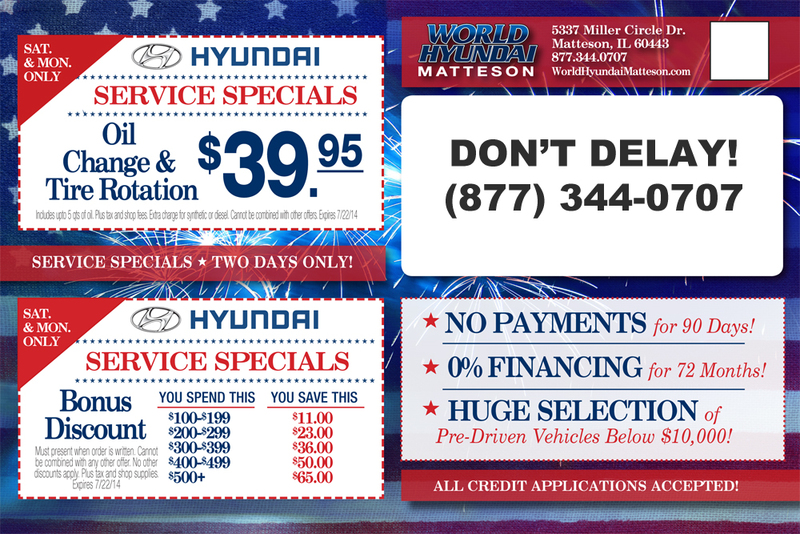 World Hyundai in the Matteson Auto Mall is your place for Chicago 4th of July sales including extended June Hyundai rebates now expiring on July 7th! 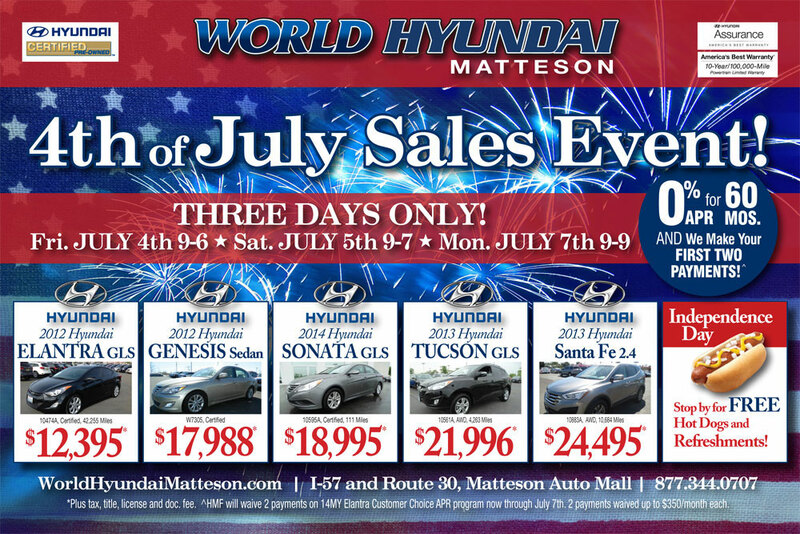 Take advantage of plenty of great Independence Day sales including purchasing any new 2014 Hyundai Elantra at 0% APR for 60 months PLUS Hyundai will make your first two payments up to $350/month! Are you hoping to trade in your current vehicle for a newer, nicer model? 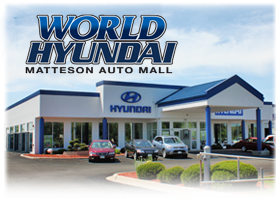 World Hyundai is the Sonata headquarters of Chicago and the top new Hyundai Sonata dealer in 11 states! We carry all Sonata models from base models all the way to limited models. Choose how you’d like to ride and select options like Navigation, back-up cameras, Bluetooth and so much more!